Zen  is the name of [unborn]Mind, and only through the purifying power of Zen can the mind [of a potential Buddha] fully recall itself, its true nature; which is Mind Unborn and no-thing else. The first mistake all beginners make about Zen, is to believe it is best achieved sitting or standing or even walking, because its foundation is believed to be found on top of a temple governed by a grey lump and source of conditioned consciousness. Zen, as hinted above, is an unborn or imageless power; highly purifying and ascending in nature. The Spirit [your pure will] riding on its head can freely soar among heavenly abodes of a great light; all enlightening and compassionately guiding to Spirit; all bright stars of Noble Wisdom, there to establish the wondrous Buddha-dharma of Zen in your heart as to give birth to the bodhisattva; a spiritual being, not born in this world or any other and thus not of this world or any other. The final spiritual destination of this Buddha-to-be, is the dharmakaya of the Tathagata. 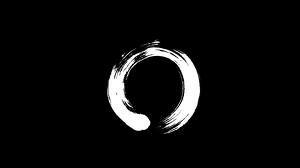 Once the complete “Here-ness” in that destination, which is imageless is established, the circle of Zen is completed. This entry was posted in Tozen Teaching, Zen and tagged Buddhadharma, dharmakaya, Dhyana, imageless, Jhana Skt, Mind, Noble Wisdom, Spirit, Zen. Bookmark the permalink.